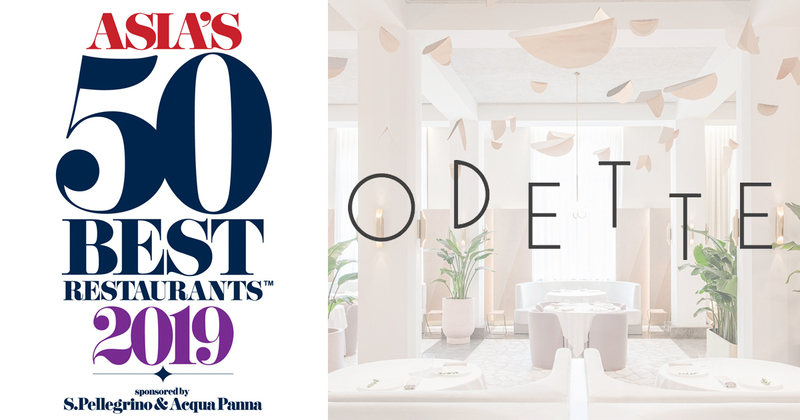 The 2019 list of Asia’s 50 Best Restaurants were announced at an awards ceremony at Wynn Palace, Macao and Odette in Singapore took the No. 1 spot, claiming the coveted title of “The Best Restaurant in Asia”. Japan leads the 2019 list with 12 entries while Den (No.3) earns the title of The Best Restaurant in Japan for a second consecutive year. Den’s chef, Zaiyu Hasegawa, was also named the 2019 recipient of the Chefs’ Choice Award, sponsored by Estrella Damm, the only award voted for by the chefs of Asia’s 50 Best Restaurants 2019 list recognises a peer making a positive impact on the restaurant scene. Thailand. After holding the No.1 spot for four consecutive years, Gaggan in Bangkok moves to No.2 while retaining the title of The Best Restaurant in Thailand. Entering the list at No.16, Gaa in Bangkok claims the Highest New Entry Award while the restaurant’s executive chef, Garima Arora, is named elit™ Vodka Asia’s Best Female Chef 2019. Among the remaining six Thailand entries, Sorn, specialising in Southern Thai cuisine, is a new entry at No.48. Singapore claims seven entries on the list, including newcomer Nouri making a bow at No.39 and longtime favourites, Burnt Ends and Jaan rising to No.10 and No.32 respectively. China. Ultraviolet by Paul Pairet (No.6) in Shanghai is named The Best Restaurant in China. Hong Kong counts nine restaurants, including first-time entries Vea (No.34) and Seventh Son (No.44). Soaring 25 places to No.15, modern French bistro Belon is crowned with this year’s Highest Climber Award. Taiwan. Ascending 11 places to No.7, Mume in Taipei clinches the title of The Best Restaurant in Taiwan, besting two-time winner, Raw (No.30). Indonesia. Locavore (No.42) in Bali holds the title of The Best Restaurant in Indonesia and wins the Sustainable Restaurant Award in Asia, presented to the restaurant with the highest environmental and social responsibility rating, as determined by audit partner Food Made Good. India. Indian Accent (No. 17) returns as The Best Restaurant in India for a fifth successive year. Ministry of Crab in Colombo (No.35) is named The Best Restaurant in Sri Lanka for a fourth time. Toyo Eatery, the 2018 recipient of the Miele One To Watch Award, enters the list at No.43, claiming the honour of The Best Restaurant in the Philippines. Korea. Popular Seoul restaurant Mingles (No.13) retains the title of The Best Restaurant in Korea. Italian chef Fabrizio Fiorani developed his pastry skills in the kitchens of such acclaimed restaurants as La Pergola in his native Rome. His desserts seamlessly complement chef Luca Fantin’s contemporary Italian tasting menu. 8½ Otto e Mezzo Bombana’s outstanding hospitality, led by General Manager Marino Braccu, creates a highly refined but warm atmosphere in which diners can enjoy Chef Bombana’s creations. Related Post: Catch the FIVB Beach Volleyball World Tour and its nightly after-parties! 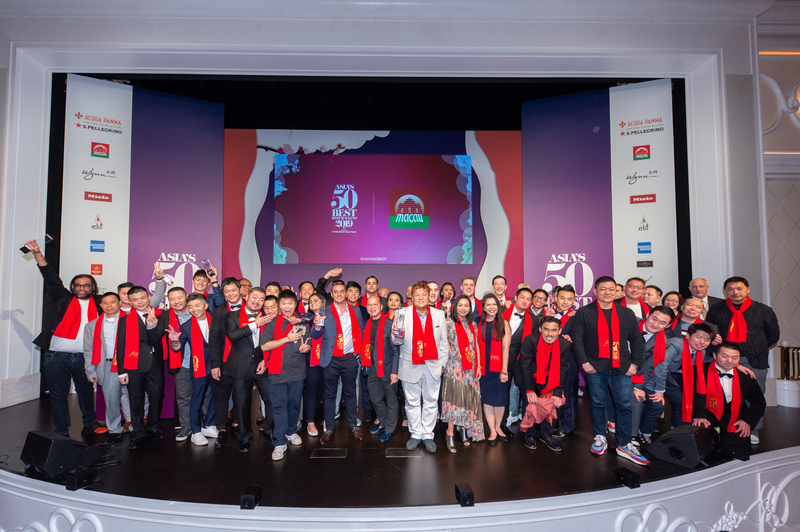 The list is created from the votes of Asia’s 50 Best Restaurants Academy, an influential group of over 300 leaders in the restaurant industry across Asia, each selected for their expert opinion of Asia’s restaurant scene. The panel in each region is made up of food writers and critics, chefs, restaurateurs and highly regarded ‘gastronomes’. Members list their choices in order of preference, based on their best restaurant experiences of the previous 18 months. There is no pre-determined checklist of criteria, but there are strict voting rules. To see more details on Asia’s 50 Best Restaurants voting process, visit here.